BIG SALE for LEFT COAST CRIME! As part of Left Coast Crime, my e-books will be on SALE on Amazon from March 16th to March 23rd at 12:00 am. The discounted price for each book is $0.99. So if you haven’t had a chance to read my books on Kindle, you can now get ’em cheap. Rosemary and I first became friends through our literary critique group which continues to thrive 15 years on. When we met, we'd each had one or two crime short stories published. 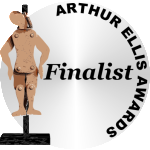 Since then we've both published several more stories and been short-listed for the Unhanged Arthur and the Debut Dagger awards. And together we have broken through the barrier of traditional publication though Rosemary continues to set the pace! This week Imajin Press released Raven Lake, the third book in Rosemary's popular Pat Tierney series. Rosemary draws on her work experience as a business journalist to create Pat, a tough, warm-hearted financial manager who runs her own business, deals with her family's many problems and solves crimes faster and better than the police! 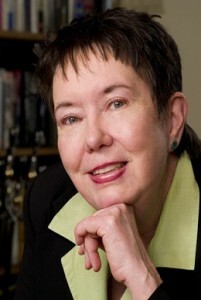 Jack Batten, the Toronto Star's crime fiction reviewer, has called Pat "a hugely attractive  sleuth figure". Subscribe to Rosemary's blog, Moving Target. Follow her on Facebook and Twitter. Check out her website, too. The most successful novels are sparked by their authors’ passions. What passion did you follow in Raven Lake? Gliding in my kayak over a quiet lake or creek, preferably one with no cottages, I feel completely plugged into nature. I come upon turtles sunning themselves on logs; loons teaching their chicks how to fish; herons blending in with marsh vegetation as they stalk their suppers; mink and bobcats drinking from the edge of the lake. One day, I rounded a bend in a creek and found a young bear fishing. Surprised to see me, he scrambled up the bank and disappeared into the woods. So it was mandatory that I get Pat into a kayak—and, of course, she loves paddling as much as I do. 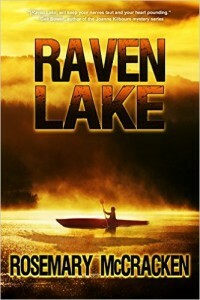 And when Imajin Books asked me for suggestions for the Raven Lake book cover, I immediately thought of a figure in a kayak. I was thrilled with the cover that artistic director Ryan Doan came up with—complete with the shadow of a raven on the water. The back cover has a flock of ravens—an “unkindness” of ravens is, I believe, the collective noun. I set Raven Lake in Ontario cottage country in the summertime to celebrate my many wonderful summers in the Haliburton Highlands north of Toronto—God’s country, it surely is! During those months, I spent a fair amount of time in my kayak exploring the lakes of the Leslie Frost Centre, a spectacular 32,000-hectare Crown land nature preserve that was accessible from my cottage. Did you revisit any favourite topics in Raven Lake? In Raven Lake, I took on a new financial crime based on a real scam that was plaguing Ontario cottage country two summers ago: cottage rental fraud. Con artists were posting photos of lakefront properties on legitimate internet vacation rental sites. Would-be renters would wire their money to the “property owner” – discounts were given for payment in full – and when they arrived for their vacations, they were told by the real owners that the property was not for rent. A crime perfectly suited to cottage country. Like Pat, I’m appalled by the financial exploitation of unsuspecting people that is rampant these days. Con artists are swindling their victims out of their savings through investment frauds, identity theft, telemarketing scams and loan schemes. The penalties for these crimes aren’t tough enough in Canada to deter these crooks. Where can readers buy Raven Lake? What do you like about the crime fiction genre? Crime fiction gives me an opportunity to work with some great bad guys and gals, characters I can really love to hate. I believe the antagonist is the second most important character in a novel, after the protagonist. I avoid completely evil antagonists because I can’t believe in them. No one is bad all the time. I like the sense of closure at the end of a mystery or thriller. Peace and order has returned to the world. It may only be a temporary state of order; the antagonist may still be out there. But it’s peace and order for a time. Tell us about your readers. Where are they located? Which topics have proven to be the most popular with them? Many of my readers are women, and judging from readers’ reviews, they seem to be taken with Pat Tierney’s ongoing family problems. They like the fact that she’s an Everywoman: a single mom who supports her family, does her very best for her clients, and has to deal with a whack of domestic problems. They can relate to a character like her. The beauty of e-books is that authors can reach people who read English throughout the world. Safe Harbor, my first mystery, currently has 115 reader reviews on Amazon.com, and I think it’s safe to say that most are American readers. There are 15 reviews on Amazon.co.uk, so I know I have some British readers. And, of course, I have many readers in Ontario and I credit public librarians with bringing Ontario writers to the attention of library users. Will there be a fourth Pat Tierney mystery? I certainly hope so, although I’m not sure where Pat will take me next. I need to spend some quiet time this coming summer listening to her. Where can readers buy the first two Pat Tierney novels? 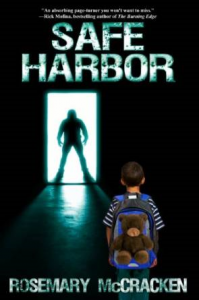 Click on the images below or use these links: Safe Harbor can be purchased at myBook.to/SafeHarborTierney. 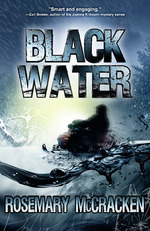 And Black Water at myBook.to/BlackWaterTierney. These are universal links that will take you to the Amazon store in your country. Read the first chapter of Windigo Fire, published by Seraphim Editions, September, 2014. 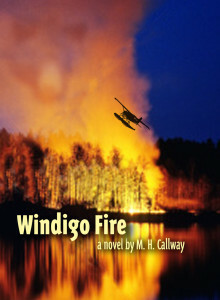 Windigo Fire was a finalist for the 2015 Arthur Ellis Award for Best First Novel and under different titles, short-listed for the Unhanged Arthur and the CWA Debut Dagger Awards. 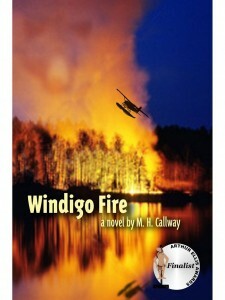 Windigo Fire is available in print through Amazon, Barnes & Noble, Chapters/Indigo and in public libraries. It is available as an e-book on Amazon Kindle. You may also access it through Kindle Direct’s library program. Evil exists and he was no better than the others. He knew that now. Danny Bluestone twisted the spliff in his nail-bitten fingers, feeling the weed roll under the thin white paper like twigs and pebbles in a stream. Couldn’t bag any decent bud this morning, so he’d settled for homegrown. Go organic. Support local industry. Smoke only nature’s own Red Dog Gold. Midnight on Fire Lake, stuck on an island deep in the forests of Northern Ontario. Fifty miles from the nearest town – if you’d call Red Dog Lake a town. The raucous sounds of the hunters funnelled down from the lodge buried in the thick woods behind him. He breathed in deeply, letting the pungent pine sap purge his spirit of their meaty white presence. Clear the landing. Get ready for takeoff. His Zippo lighter rested heavy and cool in his hand. Under the rising moon, the black silhouettes of the pines fringing the shore were etched as sharply as crystal, and Fire Lake had morphed into a silvery flat expanse. He wet the end of the spliff, straining to hear the eerie banshee call of a loon. When he was a little kid, and his dad was still alive, they’d flown in here to fish for trout. The birds’ snaky black shapes had been common at twilight when they’d camped on the island, but today he hadn’t seen even one. And no fish in the acid clear waters of the lake. He started, barely rescuing the Zippo from sliding into the dark water at his feet. Like all day he’d been the invisible man. Now when he needed to be alone, trust them to whine for entertainment with him as the target. He hesitated, thumb on the lighter. Noises travelled in the still night air. Drunken titters. What if the smoke of his smouldering joint travelled, too? Would the hunters’ campfire mask it? They were using that stone oven on the veranda, the one that looked like a ripe beer gut. Dangerous, but way out here who was around to see? Sparks poured up in a fountain from the stove’s chimney and drifted over the tops of the trees. Damn, Danny thought. All along Highway 11, from Temagami on up to Red Dog Lake and Cochrane and beyond, the white forest fire signs were cranked to red on the dial. Extreme hazard. No camping. Especially no fires. The sharp-needled powdery ground under his bare feet was so dry that it crackled. That was Ricky, the American with the shaved head, the one who claimed to be some old rock star. His voice had a dark edge, matched by a flicker of something Danny had spotted in his small blue eyes this morning when they’d hit the island. Like he knew the joke and you didn’t, and the punch line wasn’t going to be pretty. “Sure you did, and a load of other bull.” Ricky sounded closer. Danny scrambled up and jumped lightly onto the rock face behind him. The heat of the August afternoon lingered in the ice-smoothed stone. He crept up its clean bare surface, climbing till he reached the thicket of blueberry bushes he’d scouted out earlier. From here, he could spot them easily enough, and they’d never see him. Danny heard the rasp of Ricky’s zipper. Oh man, he thought, I have to drink out of that lake. All day long Ricky had been watering the blueberry bushes like a dog making his mark. Like toilets were for weaklings. “Tell me you enjoyed the show,” Morty said. Morty coughed out a laugh, like he still had control of the party, and vanished back down the trail. Ricky sat down on a boulder by the shoreline, merging into the night. I hate this job, Danny thought. Forget the money. Working at the stupid children’s camp wasn’t so bad compared to this. I want my old job back. Even though I’ll have to beg for it. He glanced down at Ricky and tucked the joint and lighter into his shirt pocket. He loved the crisp crackle when a spliff first caught fire. He could almost feel the acrid burn of its pungent smoke, resin and tar coating his lungs, almost see its end blossoming, shedding sparks into the night. He ate his usual number. An ice-age boulder had carved a natural hollow into the granite beneath him. He settled his back into it and waited. He’d be safe enough up here. Unlikely to roll down into the water or anything. “See? Here we go.” Morty was back. “So give the nice bottle to daddy,” Ricky said, reaching out a heavy arm. This is what I get for studying English Literature, Danny thought. Government gave me free tuition for a useless degree, a one-way ticket to that crumby counsellor’s job at the kids’ camp. Take it or go back on pogey like every other Indian round here. Some choice. He breathed quietly, waiting for Huxley’s doors of perception to open. He could never tell when he’d crossed the threshold. Back in college, he’d be wide awake, thinking he’d been sold Campbell’s mushroom soup, then he’d meet one of Hunter S. Thompson’s lizards on the Toronto subway, sitting there in plain view, reading the paper or something. Even this long after sunset, the day’s heat seeped from the smooth stone into his back. That’s what they used to heat their houses in Scotland, wasn’t it? Rocks. Once upon a time, he’d wanted to study at the University of Edinburgh, to visit the Isle of Mull to see if he could spot ex-Beatle Paul McCartney. Stupid, right? “This isn’t single malt, you liar,” Ricky said below him. Fear erupted through Danny’s chest, but he was falling into the soft fist of rock, tumbling, plunging into the clear lake water. It parted in fronds like syrup, till he stared into the droopy grey face of Old Devil, the trout monster of Fire Lake. Oh God, I’m drowning, he thought. Breathing water without knowing it. Or was he? Huxley’s one-way door had closed and he was lost in the funhouse of perception. The seal … Danny gazed up at its vaporous grey form in the clouds. The hard ground left his back, and he was lifting off, soaring on an iridescent dragonfly that droned through the air. Fire Lake fell away like a sheet of dark metal and they shot past acres and acres of green forest, wilderness as far as the eye could see. No light penetrated through the trees. Their branches arched over him, forming a dark cave. Something stirred, a matted black bearskin that rose from the ground and took form. No flesh, no bones. Only darkness behind its eye holes. He pressed his face close to the black snout – still moist – and asked it what it wanted. Black ooze crept from the eyes. The white teeth parted and the stench of decay rolled over him. I’m sorry, Pasha. I’m so sorry. He buried his face in his hands, but tears were useless. Nothing would make it better. Ever. Shivering and wet with dew, he sat up. His back and muscles ached from the cold rock that had drained the warmth right out of him. A thick blanket of white mist lay over the water, obscuring the dawn, drawing colour out of the world. Was he still ripped? He rubbed his face, shook his long hair. Standing up shakily, he felt a surge of telltale nausea, the flu-like fatigue that would dog him for three days. The ’shrooms must be done. Must be morning. He stumbled down to the slate-grey shards of the beach where he’d been sitting last night. A flash of gold. Something was floating in the water, bobbing gently with the wavelets slapping the stones. He blinked. What was it? A dead fish? Without thinking, he waded into the lake to get a closer look. A white arm stretched out through the clear water, fine blond hairs waving like seaweed, fingers spread like a starfish above a gold-linked bracelet. Oh, hell, Danny thought. His throat was parched but his feet were icy cold. He scrambled back out. It’s a flashback, that’s all. A mirage. Heart thundering in his thin chest, he staggered down the trail to the lodge. Darkness slept under the trees, the way he’d dreamed it last night. Utter silence except for his panting breath. Too early, too early, he chanted silently. He’d find the hunters asleep. Remnants of the ’shrooms lurked in his system. He couldn’t be sure about reality just yet. He smelled it then, the metallic slaughterhouse reek of blood. The hunters were lying all over, splattered in garish colours. Humans couldn’t bend that way, could they? A screech of panic tore out of his throat. The screams kept bursting from deep within, and he couldn’t stop them even when he clapped his hands over his ears to shut out his own noise. No one knew where he was, except Rachel, a ten-year-old kid back at the children’s camp. The bush plane wouldn’t be back for two days. And, like Morty said, there was no way off the island. 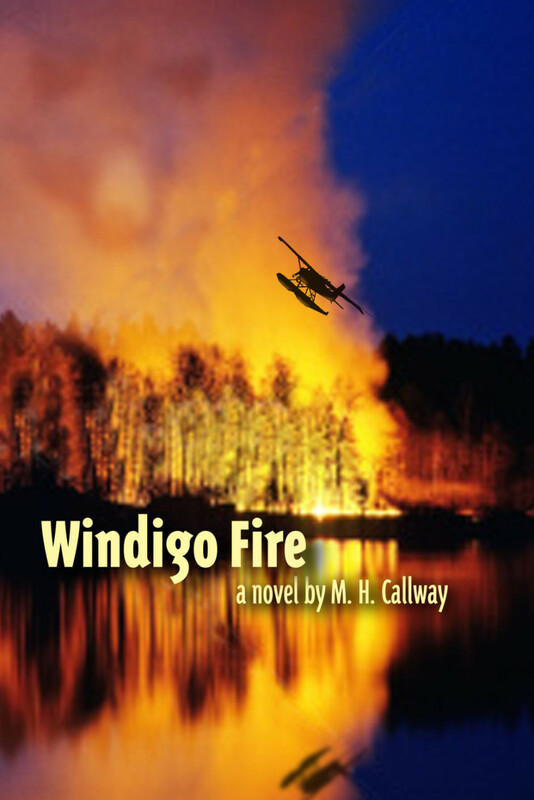 To find out what happens to Danny, download Windigo Fire from Amazon here. Evil Santa – Meet him in Windigo Fire! Ever visited a Santa’s village as a kid? What if the Santa was up to no good? What if his fish camp was a front for a grow-op and other dark things? Meet my favorite villain in Windigo Fire, now available in e-book on Amazon! 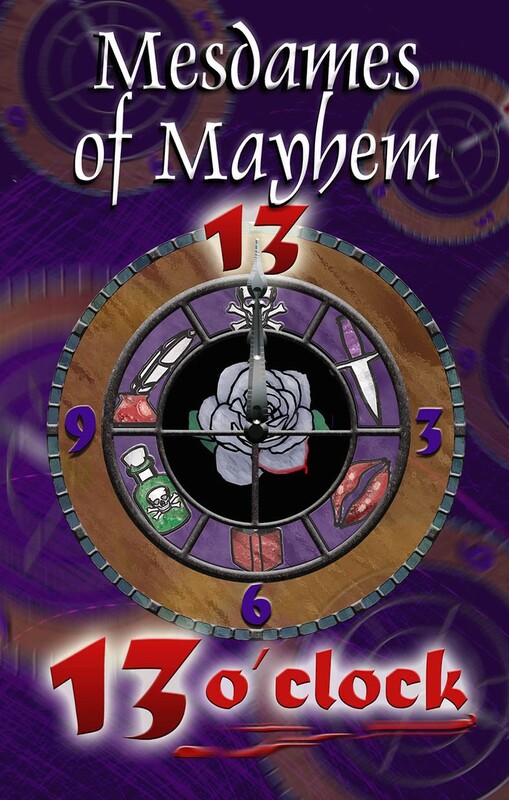 And for a Christmas treat, do check out the new stories by the Mesdames of Mayhem in 13 O’clock, which also features my suspense novella, Glow Grass. 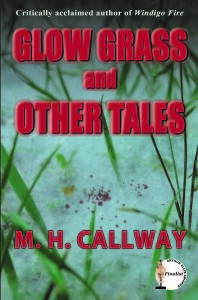 New suspense story: Glow Grass! 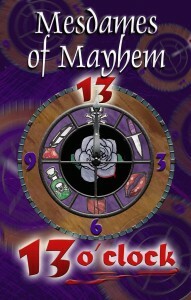 The Mesdames of Mayhem’s new anthology, Thirteen O’clock, is now available on Amazon! Print version and e-book now released. My novelette of suspense, “Glow Grass”, is featured in this collection of twisted tales of time and crime…What happens when you revisit a derelict family cottage once the scene of a horrific death? My critically acclaimed thriller, Windigo Fire, is now available on Kindle and Smashwords! Windigo Fire, Seraphim Editions, Sept, 2014. Danny Bluestone, a young Native man, overeducated and underemployed, is drawn into an illegal bear hunt to escape his stultifying hometown of Red Dog Lake in Northern Ontario. Things quickly go violent and he must fight to survive both the killers and the wilderness. Well done atmosphere and a truly chilling premise. M. H. Callway is a writer to watch. A visually powerful debut, action packed, blunt and driving, set in the grandeur & frailty of Ontario’s north compounded by the cruelty of man. The writing burst with the sudden terror of fire, the terrible potential of man’s abuse and the peace that nature offers in the midst of pain. Urgent, descriptive writing polished beyond that of a debut novel. Read it and connect with the struggle of our north. I was captivated with the story…the characters of Danny Bluestone and Rachel Forest, one of the kids from the camp where Danny works, are just terrific. ..There is a lot packed into the story and I was very impressed with the book. Good job Madeleine. A fast pace, heart-racing novel…The writing makes the surreal setting seem so real as almost a documentary…Vivid complex characters, violent without being gory…A great read and highly recommended.